A service will start at 3pm. 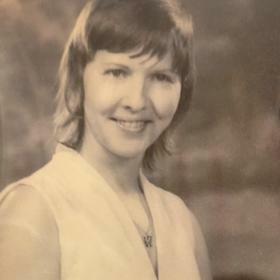 Betty Jewel ‘B J.’ Gunnerfeldt 75, of Traverse City, went home to be with the lord on June 29, 2018. 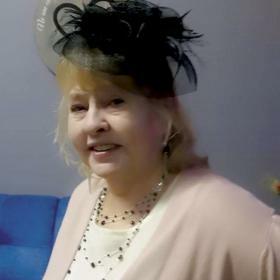 She leaves behind her devoted husband of 33 years, Robert Paul Gunnerfeldt. She is proceeded in death by her son William Houston Jackson. She is survived by her children. Gary Don Jackson Jr. and wife Linda, LaDonna Jeannette (Jenny) Moore and husband Charlie, Laura Kay Maxwell and husband, Richard; daughter-in-Law, Tracy, son, Timothy Daniel Jackson and wife, Mackenzie. She also has 13 grandchildren, 22 great-grandchildren; 4 sisters and 2 brothers. BJ. lived for her family! She had a heart of gold and would give everything she had to whoever was in need. She loved doing crafts with her grandchildren and her great-grandchildren. She had a fondness for scrapbooking and was very creative of what she collected. Such as, Don's hospital bracelet, a wishbone from a family dinner, red dirt from Jen's place, a fallen Pom from Laura's scarf, a small piece of driftwood from a boat trip with Tim. Her other hobbies were Goodwill, gardening, and her dogs. She will be GREATLY missed by her family, her church family, and her friends. An informal gathering will be held from 12 noon to 3pm, today, Tuesday, July 3, 2018 at new location of Life Story Funeral Home, 400 W. Hammond Rd., Traverse City, Michigan. A service will start at 3pm. Please sign the guestbook and share your thoughts and memories with the family.